A green, majolica glazed, plate. This plate is marked 'WEDGWOOD' with a small letter 'F' above. It is also impressed with the letters 'VWA' and this is the date coding for the year 1872. 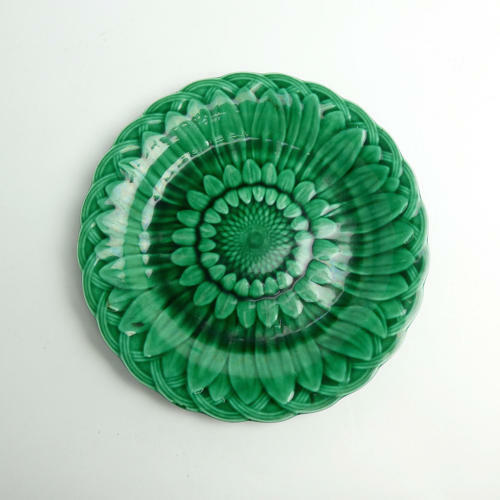 It is moulded in the form of a sunflower and this is then covered in a thick, green majolica glaze.There is a small mark on the rim but this is from the manufacture as it is under the glaze. The plate is in excellent condition.